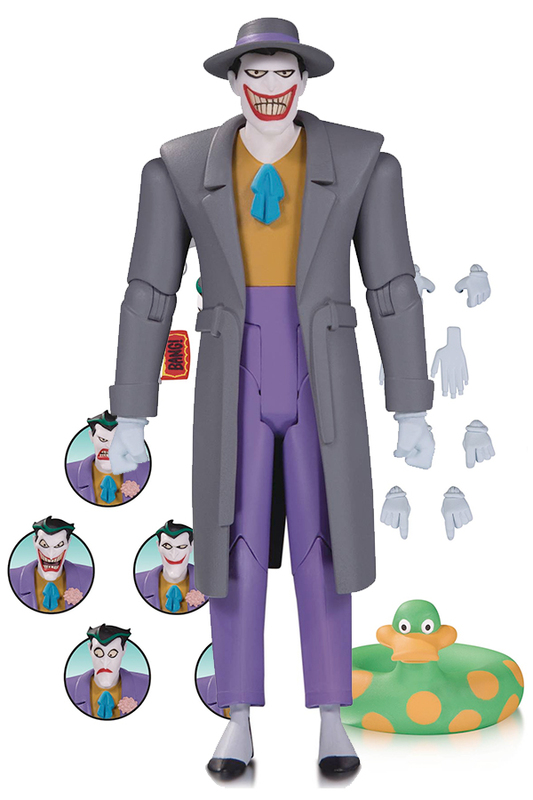 Capture The Joker in all his villainous complexity! 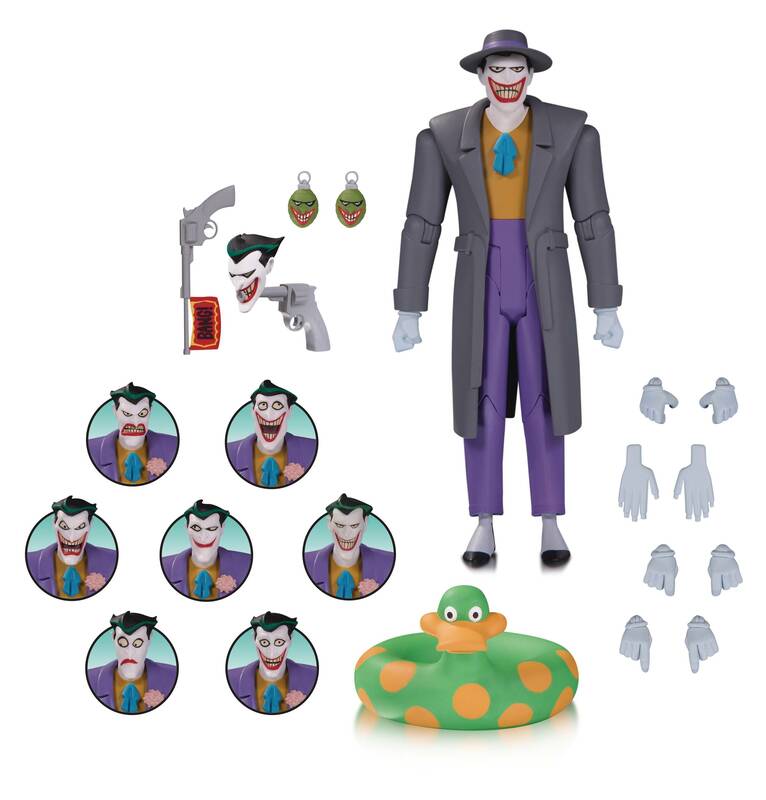 Choose from eight different head expressions that range from deliriously happy to seriously deranged as well as five pairs of hands, trademark weaponry, a duck floaty toy and a trench coat that makes a completely different Joker. A deluxe base is included. Also includes a Joker action figure measuring approximately 6.20' tall!.